NAIROBI, July 20 (Thomson Reuters Foundation) – A 10-year-old girl in central Somalia has died after undergoing female genital mutilation (FGM), prompting calls from campaigners to criminalise the internationally condemned practice in a country with the world’s highest rates. The girl was taken by her mother to a traditional circumciser on July 14. The procedure left her bleeding and she died in hospital due to a haemorrhage two days later. “The circumciser is suspected to have cut an important vein in the course of the operation,” said Hawa Aden Mohamed, director of the Galkayo Education Center for Peace and Development (GECPD), a local women’s rights group. An estimated 200 million girls and women worldwide have undergone FGM, which usually involves the partial or total removal of the female genitalia and can cause a host of serious health problems, says the United Nations. The ancient ritual – practised in at least 27 African countries and parts of Asia and the Middle East – is usually carried out by traditional cutters, often using unsterilised blades or knives. Health experts say FGM can cause fatal childbirth complications later in life. In some cases, girls can bleed to death or die from infections following the procedure, although it is hidden within communities and rarely reported. Located in eastern Africa and troubled by decades of civil war, Somalia has the world’s highest rates of FGM. According to the UN, 98 percent of women between 15 and 49 have been subjected to the ritual. 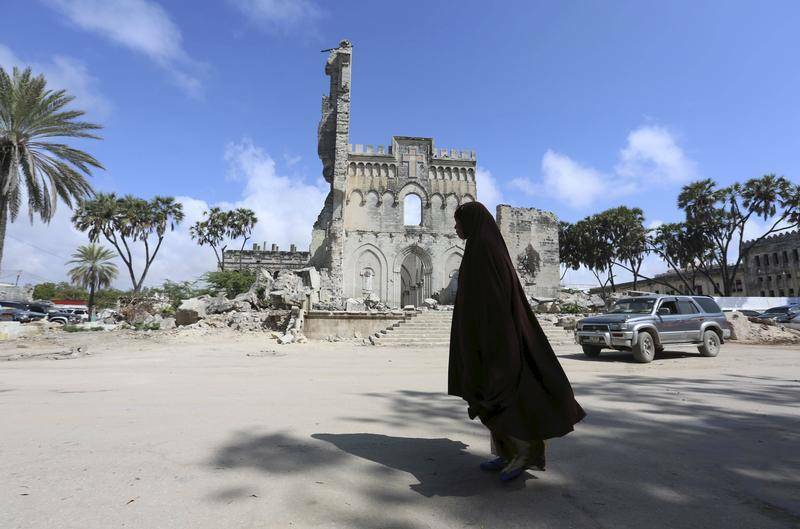 Somalia’s constitution prohibits FGM, but efforts to pass legislation to punish offenders have been stalled by parliamentarians afraid of losing powerful Muslim vote banks who support FGM and view it as a part of their tradition. Campaigners say a lot of work needs to be done to help people understand the harmful effects of FGM, and criminalising the practice could act as a strong deterrent. “Pro-FGM lobbyists sometimes put forward the nonsensical view that it is not harmful, which is completely untrue,” said Brendan Wynne at Donor Direct Action, an international women’s groups which helps fund grassroots charities.